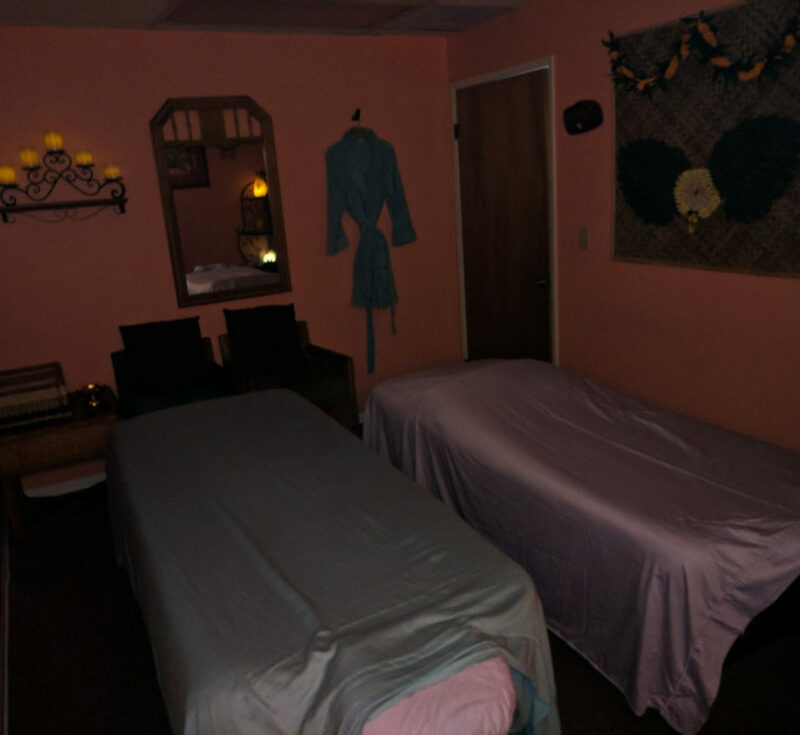 This is our second couples massage room. Perfect for a relaxing experience with your best friend, or your significant other. For a peaceful transition into your treatment please be advised that traffic is heavy in town between 8-10 AM and 2-4:30 PM. Please make sure you leave with adequate time to arrive 10-15 minutes before your scheduled appointment, mahalo.